Most diplomats in New Delhi were glued to their television sets to watch the much-awaited media interaction of US Secretary of State Michael Pompeo and Secretary of Treasury Steven Mnuchin on Monday. Informally, New Delhi had already been informed that Washington had allowed it a six-month waiver for purchase of oil from Iran, along with seven other countries. But diplomats here wanted to see if the Donald Trump administration would hint at some exemption for the Chabahar port and subsequent trade from there to Afghanistan, Central Asia and Russia. Tehran - with certain riders related to payments, etc - is ready to hand over to India the first berth of this port soon. Meanwhile, Washington expects New Delhi, along with other eight countries, to bring their oil imports from Iran in this embargo period to zero. India is the second-largest buyer of Iranian crude, next only to China. Post sanctions, India had reduced the average monthly purchase from 22.6 million tonnes (452,000 barrels per day) bought in fiscal 2017/18 to 1.25 million tonnes or 300,000 barrels per day. Will the future of the port depend on a further reduction? Washington, it seems, isn't comfortable enough to respond as yet. A day before the briefing, Pompeo appeared in a talk show on Fox News where he dodged queries around India and China but indicated the establishment might give them a waiver. However, he was non-committal on further relaxation. In May-end this year, New Delhi had successfully negotiated a way out of the complicated US law CAATSA, or Countering America's Adversaries Through Sanctions Act, to compete the military deal to buy the S-400 Triumf air defence missile system from Russia. Three weeks before this, US President Donald Trump had pulled out of the Joint Comprehensive Plan of Action, or JCPOA, negotiated by his predecessor Barack Obama's establishment in 2015 along with five other permanent members of the UN Security Council and Germany. The pact had sought to curb Iran's nuclear activities in return for lifting of sanctions by the UN, US and EU. He called the accord disastrous. From November 4, these sanctions were reinforced; these barred 600 Iranian entities (individuals and companies) from dealing with the international community. The list included oil as well as shipping, trade and financial transactions. Only food and humanitarian aid were exempted. 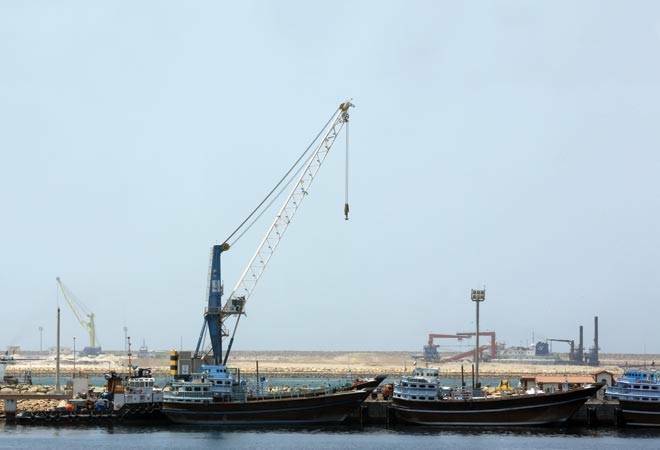 Since then, Indian diplomats have been trying to convince their counterparts in Washington about the strategic importance of Chabahar in the regional and geopolitical balance. New Delhi's argument is that this berth at the port will be operated by an Indian PSU and not much revenue will go Iran's exchequer. And strategically, this port may also help the US. This corridor will ease movement of Indian cargoes to Kabul and other Central Asian economies where Chinese products dominate. Washington will also be interested as Chabahar will allow Afghan businesses to reduce their dependence on Pakistan to reach global markets. This corridor is seen as a balancing act to the Chinese backed Belt and Road Initiative and the China Pakistan Economic Corridor. As a back-up plan, New Delhi is engaging with Moscow and Iranian government to speed up trade infrastructure at the much delayed International North South Transport Corridor. India has already completed a dry run of (empty) cargo's movement from shores of Mumbai to Moscow via this route. This port's negotiations were initiated during PM Atal Bihari Vajpayee's tenure but fell causality to earlier sanctions initiated by the Obama regime.